Hi, it’s Evie Reilly, VP Democracy and Creative Industries for 2017/18. Earlier this month we held our first Making Change Summit (+AGM) and it was fantastic to see so many of you getting involved and voicing your opinions. Along with getting your quick comments on the Concourse, we also hosted more in-depth debates and discussions throughout the day in Bar 2, and here is a brief overview of some of the issues explored. We were also pleased to launch our first Representation Report a project headed by VP Education, Samuel Dedman, which will explore how we are working to represent your academic interests. How should we hold the Union to account? I opened the day with a discussion on how we can improve Senate to best make decisions and hold elected Union Officers to account. Part of this focused on the regularity of these meetings; currently three times a year is not particularly regular for the highest decision making body was the feedback on this point. I also raised the issue of the makeup of elected Senators themselves. At present, there is a set criterion for those elected senators, designed to ensure that they ‘better reflect the membership of the Union’. Although in principle this idea was supported, it was agreed that in practice the prescribed list of characteristics did not accurately reflect the student body. 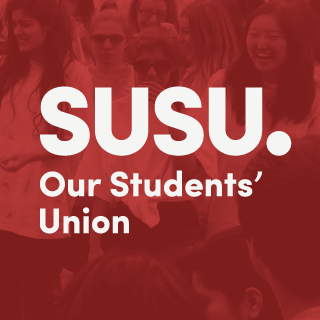 Ensuring that the Union was as transparent as possible was also brought up, and I agreed that it is something we’re always looking to improve, and I highlighted platforms such as ‘You Make Change’ for student to submit any ideas on this topic or others. I will take all of the discussion points to the next meeting of the Democracy Zone, which is this Friday afternoon (08 December). How can we improve study spaces on campus? Samuel Dedman, VP Education, led the next debate on study spaces on campus, first weighing up the pros and cons of using Union space as study space, whether permanent or temporary, compared to dedicating space to our many societies. This debate was the first part of a larger consultation project that Samuel and the Education Zone are undertaking on study space signposting and getting feedback of what students feel is currently missing on campus. Lots of the points raised by students in the debate also centred around library facilities on both Highfield and Avenue campuses, ranging from faulty equipment to questions over the 24 hour opening. Samuel promised to raise individual issues with library staff, and also pointed to the Union’s Faculty Officers who also have contacts with relevant members of library staff and can raise such issues. How should we represent international students? VP Student Communities, Arun Aggarwal, led a discussion on how the Union could better interact with and engage with our international members, who make up a considerable amount of our student body. He highlighted the fact that those who take up leadership roles within the Union and its clubs and societies, are predominantly home students, and there was some discussion on ways to combat this. Something that was raised was that the language and processes used in our Elections could be off-putting and difficult to understand for to home students, and even more so for students who do not have English as their first language. Arun agreed that this would be passed on to myself and the Democracy Team to inform our planning for the upcoming Spring Elections. The idea of more targeted marketing for events in different languages was also suggested, with Winchester School of Art (WSA) used as an example of a campus with a high population of international students. A student from WSA also suggested the idea of some of the Union’s paid student staff being foreign language speakers. One audience member also commented simply that some patience from both students and staff was needed with students who were new to both the country and the culture of a British University. Arun confirmed he would take the suggestions to his zone, and continue to work towards making the Union as inclusive as possible. Should we stop using straws on campus? VP Welfare, Sam Higman, led our most popular debate of the day on the use of straws in Union outlets. Sam explained the environmental impact of plastic in general, pointing out that half of all plastic in the world was made in the last 13 years and more specifically how straws impacted on this, and the use of straws in the Union – SUSU alone used 44,000 straws last year. Sam proposed a full ban on plastic straws in Union outlets and suggested the introduction of paper straws, or metal straws that could be purchased. The main argument raised against this was that some students with disabilities may need to use straws to drink comfortably. Sam explained that both metal and paper straws are produced that have bends in them, as well as straight options, so the requirements of students could be accommodated with an environmentally friendly alternative. Other students questioned why just straws and not all plastic in general, as this may seem like a small step. Sam explained that this seemingly small change would have a further reaching impact, and that it is by no means the only measure but merely the first step to a more environmentally friendly and sustainable Union. The clear outcome of the debate was that the students in attendance were in favour of the change. Sam will now take this to the Sustainability Zone to further explore sourcing options and to try and enforce this as soon as possible. How should we support you in Halls? Arun, VP Communities also led the discussion on how the Union could best support students in Halls. One key point that was raised was around making Halls a more welcoming place during Freshers’ for students who don’t drink. Arun explained that the Union is increasingly hosting more non-alcoholic events, and these have become hugely attractive to students (our Variety Pass on offer this Freshers’ was very popular, for example). Another question was raised about those in Halls who aren’t First Year students. Arun spoke about the successes seen in Gateway Halls of residence now that it is a Postgraduate only Halls, and commented that students can get involved with planning events through Halls Committees, or the Halls Officer, Tess. What is the future for sports within the Union? Steve Gore, VP Sports, wanted to talk to students about the changes that had already been seen to Sport and Wellbeing facilities, which are run by the University, and get feedback on these changes and the future of sport within the Union and the University. Steve discussed the sport budget, along with the costs of membership. He explained that he wants to look into free sports and work towards encouraging more WSA students to get involved with sport at Highfield. He also spoke about the successful Women in Sport Week that he ran in collaboration with the Sports Participation Officer, Louise, and other upcoming events about participation in sport, such as a collaborative project with Sam, VP Welfare, on disability awareness and accessibility for sports at the Union. Thank you to everyone who came on the day, and if you weren’t able to come in person, head over to SUSUtv’s Facebook page to watch live video coverage from the event. If you have any questions, reach out to us on our Facebook page. You Make Change is another great way to give us your input and receive speedy feedback from the Sabbatical Team.